Choosing a venue for your first date can sometimes be a challenge. You always need to consider that both you and your prospective date will find the location an ideal one. But how can you really determine a good first date spot? Here are some characteristics that you can look for when trying to find an ideal venue for the date. A good venue for a first date is a place where you think both you and your date can chill out comfortably. It is a place where you can spend a couple of hours without having to think about getting out of the place. This is important because if all goes well with the date, you might be spending an hour or two at the same location. Try to choose a location where you can both relax and be comfortable. Convenience can mean a lot of things for different people. A good first date spot can be somewhere fairly adjacent to other areas that you may wish to go to. If you meet at a coffee shop and the conversation goes along well into dinnertime, then you may want to proceed to a restaurant nearby to eat and continue your conversation. It might ruin a date for you if the nearest diner or restaurant is miles away and you both are getting hungry. Choose a first date venue that is a great place to have a conversation. Choose a place that is not too loud or too crowded with many people. A first date is a time to get you and your date to know each other more. Going to a place that will not give you this opportunity to talk will not be ideal. Of course, it should not be somewhere where it is only the both of you there. It should be a lively spot with some other people in attendance to make the venue normal and comfortable. 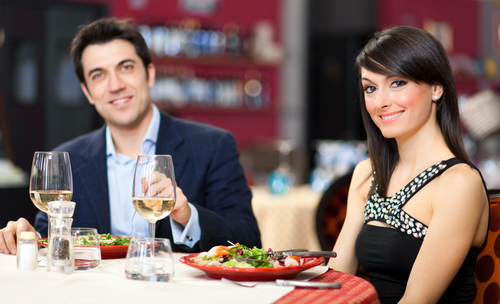 A good first date spot is also a place where your date will not be too intimidated to go to. It should not be too near the place where you live. You date may feel uncomfortable if she knew that you just live nearby. You know the neighborhood and she does not. That will not sit well with someone. A better option would be to find a dating spot that is far enough from where both of you live. A dating venue three or four blocks away may be good enough, not just somewhere across the street from where you live.